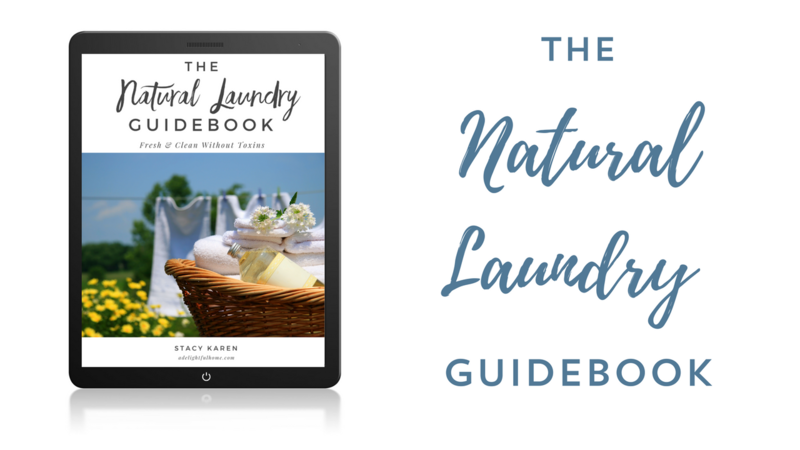 This guidebook covers everything you need to know to create a natural laundry routine. We dig into the basics, whether you should DIY or buy, stain removal, drying, laundry soap, fabric softeners are more! This guidebook covers everything you need to know to create a natural laundry routine. We dig into the basics, whether you should DIY or buy, stain removal, drying, laundry soap, fabric softeners are more! © Delightful Living Media, LLC. All Rights Reserved.